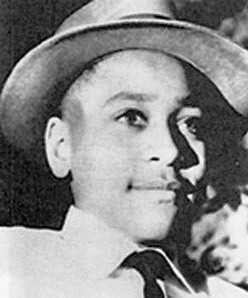 Emmett Louis Till (July 25, 1941 – August 28, 1955) was an African-American teenager who was murdered in Mississippi at the age of 14, after reportedly flirting with a white woman. Till was from Chicago, Illinois, visiting his relatives in Money, Mississippi, in the Mississippi Delta region, when he spoke to 21-year-old Carolyn Bryant, the married proprietor of a small grocery store there. Several nights later, Bryant’s husband Roy and his half-brother J. W. Milam went to Till’s great-uncle’s house. They took Till away to a barn, where they beat him and gouged out one of his eyes, before shooting him through the head and disposing of his body in the Tallahatchie River, weighting it with a 70-pound (32 kg) cotton gin fan tied around his neck with barbed wire. Three days later, Till’s body was discovered and retrieved from the river. Till’s body was returned to Chicago. His mother, who had raised him mostly by herself, insisted on a public funeral service with an open casket to show the world the brutality of the killing. “The open-coffin funeral held by Mamie Till Bradley exposed the world to more than her son Emmett Till’s bloated, mutilated body. Her decision focused attention not only on American racism and the barbarism of lynching but also on the limitations and vulnerabilities of American democracy”. Tens of thousands attended his funeral or viewed his casket and images of his mutilated body were published in black-oriented magazines and newspapers, rallying popular black support and white sympathy across the U.S. Intense scrutiny was brought to bear on the condition of black civil rights in Mississippi, with newspapers around the country critical of the state. Although initially local newspapers and law enforcement officials decried the violence against Till and called for justice, they soon began responding to national criticism by defending Mississippians, which eventually transformed into support for the killers. In September 1955, Bryant and Milam were acquitted of Till’s kidnapping and murder. Protected against double jeopardy, Bryant and Milam publicly admitted in an interview with Look magazine that they killed Till. Problems identifying Till affected the trial, partially leading to Bryant’s and Milam’s acquittals, and the case was officially reopened by the United States Department of Justice in 2004. As part of the investigation, the body was exhumed and autopsied resulting in a positive identification. He was reburied in a new casket, which is the standard practice in cases of body exhumation. His original casket was donated to the Smithsonian Institution. The trial of Bryant and Milam attracted a vast amount of press attention. Till’s murder is noted as a pivotal event motivating the African-American Civil Rights Movement. Events surrounding Emmett Till’s life and death, according to historians, continue to resonate, and some writers have suggested that almost every story about Mississippi returns to Till, or the region in which he died, in “some spiritual, homing way”. Thank you all, and especially Senator [Susan] Collins, Senator [Thad] Cochran, Senator [Roger] Wicker, Stephen Ayers, and my good friend Janet Langhart Cohen, for the opportunity to be here this morning. Nearly six decades have passed since the terrible night when young Emmett Till – a 14-year-old Chicagoan on a trip to visit relatives in Mississippi – was abducted, in the early-morning darkness, by violent men with hatred in their hearts. Yet even today, the pain from this unspeakable crime, this unspeakable tragedy, still feels raw – perhaps because those responsible for this hate crime were never held to account. Or perhaps because the progress that generations have fought and died to achieve – progress that made possible my own life and career, and those of leaders like President Obama – came too late for Emmett Till. Or perhaps even because, despite the extraordinary steps forward our country has witnessed in the years since that murderous, hate-filled summer night, our nation’s journey – along the road to equality, acceptance and opportunity for all – is not yet complete. And perhaps because our history – including our recent history – is dotted with the stories of far too many other Emmett Tills, Matthew Shepards, and James Byrds: talented, thriving people, many of them young, with promising futures stretching out before them – all cut down, brutally and unnecessarily, because of what they looked like or who they were. Although today our hearts still ache for Emmett Till, and for so many others – before and since – who have suffered the same fate, from the darkness of these tragic losses there have arisen great sparks of humanity that have transformed our nation to be more strong, more equal, and more free. Just months after Emmett Till was laid to rest, Rosa Parks refused to give up her seat on a Montgomery bus, later saying she had thought of this young man the moment she was challenged. In the decades that followed, countless Americans – from brave young people who integrated schools and universities across the South, including my late sister-in-law, Vivian Malone; to leaders like Dr. King and the legendary John Lewis; to Freedom Riders and activists who launched the Mississippi Freedom Summer – have carried with them the memory of what happened, one night in 1955, on the banks of the Tallahatchie River. 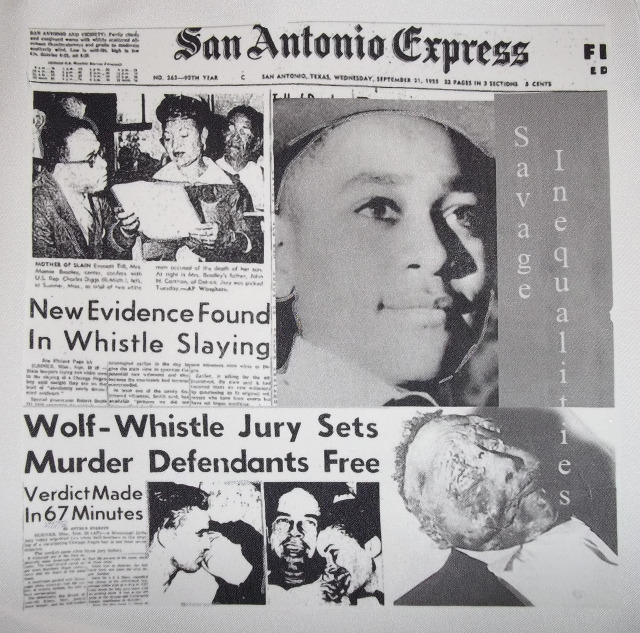 So although Emmett Till died senselessly – and far too soon – it can never be said that he died in vain. His tragic murder galvanized millions to action. 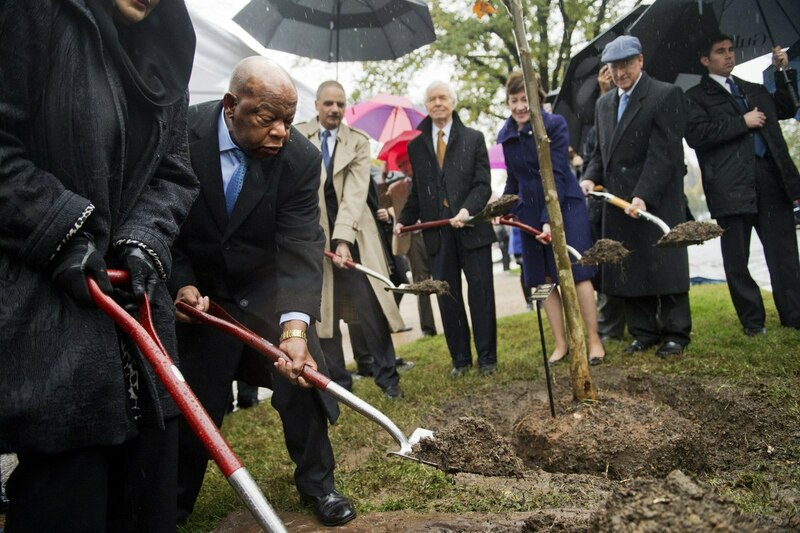 And today, we commemorate this legacy by planting a tree in his honor – a tree that will become his living memorial, here at the heart of our Republic, in the shadow of the United States Capitol. Like the work it symbolizes and the cause it represents, this tree will outlast us. Like our ongoing efforts, it will honor the enduring legacy of a young man – a boy, really – who never had the chance to grow old. 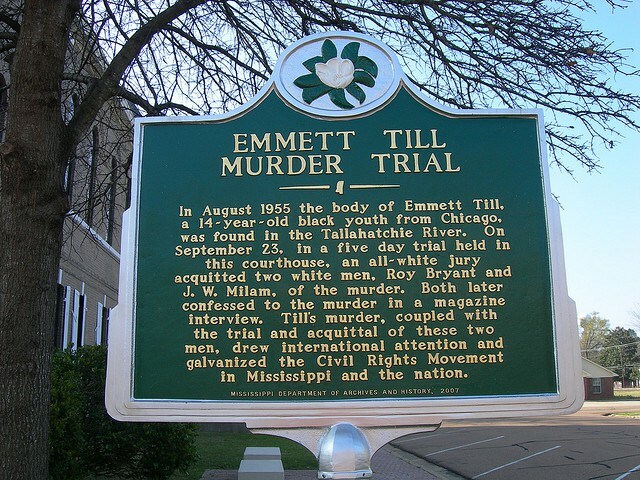 And it will ensure that Emmett Till’s story, his example, and his too-short life will be preserved forever – on these grounds now made hallow, but also in the memories of all who knew him, in the work of those who carry on his fight, and in the hearts and minds of generations yet to come. In remembering that young man in the way we do today, we ennoble our nation and make our union more perfect. Every time I read about this beautiful young man, my heart breaks just a little more. Only humans could be capable of such cruel and violent acts. Continue to rest in peace. RIP Emmett. I was unaware of this terrible tragedy until now. My heart aches for everyone touched by this evil deed.